Crucial are focused solely around the memory industry, no dilution, no distraction, just DRAM and Flash storage. This results in some excellent products leaving their doors. 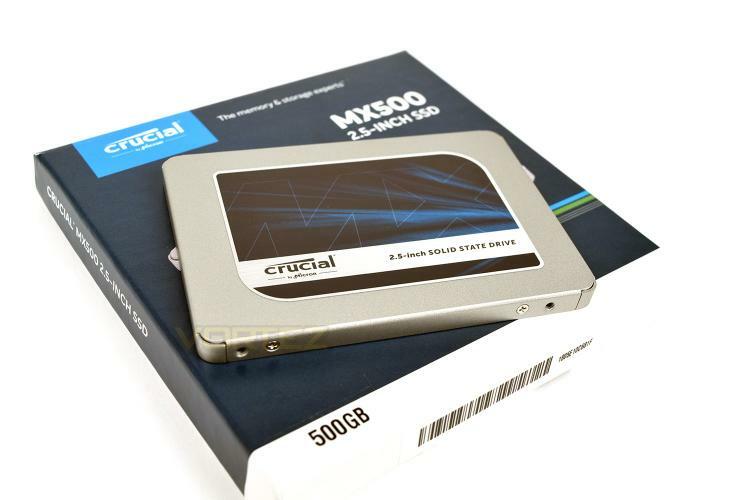 Today we look at the new Crucial MX500 SATA SSD; we’ve been provided with a 500GB 2.5” drive for testing, arriving at a £115 price point. Featuring the latest Micron 64-layer 3D NAND for excellent power efficiency while maintaining exceptional read and write rates, makes this kind of drive ideal for mobile users as well as desktops. The 7mm 2.5” form factor and incredible lightweight properties are also important. The Crucial MX500 also arrives with a 5-year limited warranty, 180TBW on the 500GB drive and quoted read and write figures of 560MB/s and 510MB/s respectively. Stick around to find out how it fares in our testing. Every time you turn on your computer, you’re using your storage drive. It holds all your irreplaceable files and it loads and saves almost everything your system does. Join more and more people who are keeping their family videos, travel photos, music, and important documents on an SSD, and get the near-instant performance and lasting reliability that comes with solid state storage. Upgrade with the Crucial® MX500 SSD, a drive built on quality, speed, and security that’s all backed by helpful service and support.